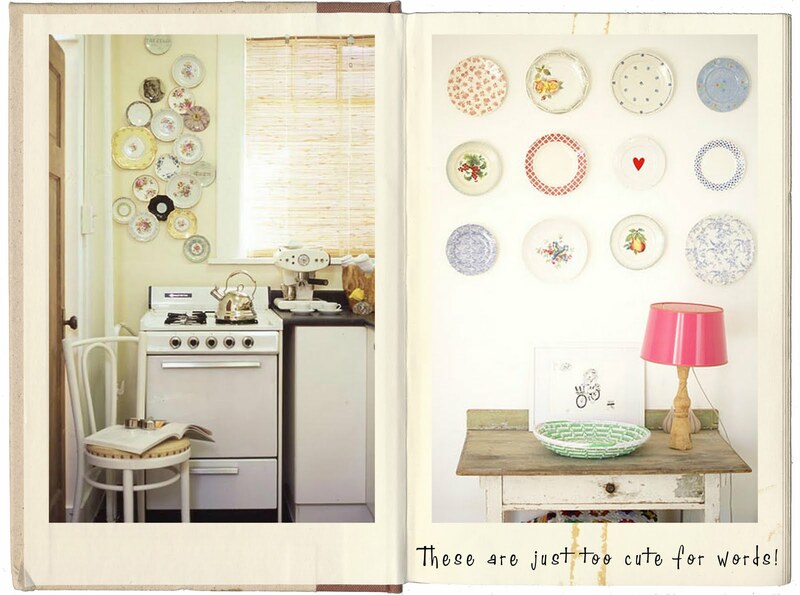 Odd One Out: I'm so in love with.... Plates on walls! 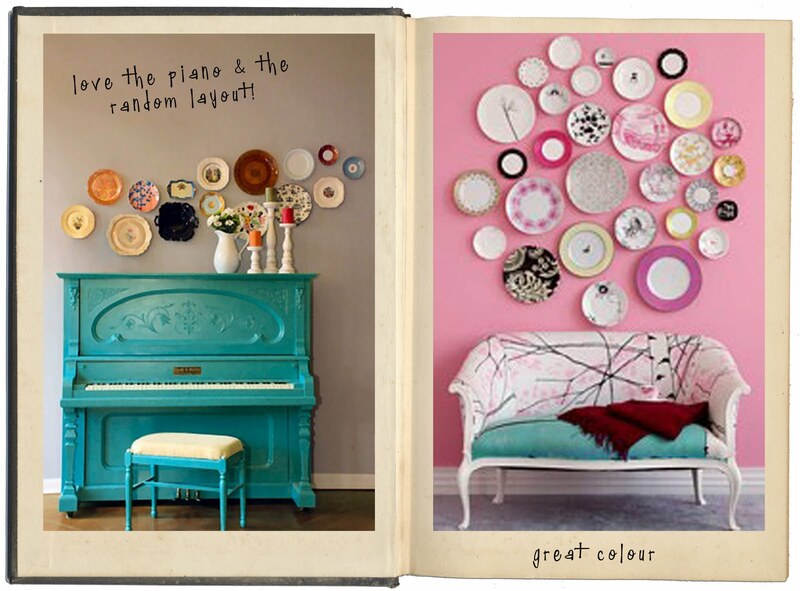 I'm so in love with.... Plates on walls! 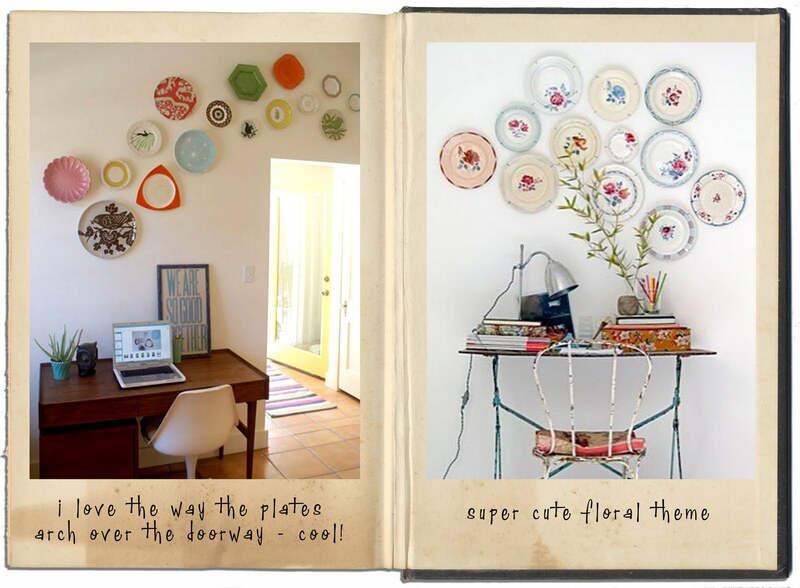 Ok so you know by now that I love plates, especially decorated plates. Where I love them most is on walls. Now this was considered until quite recently to be the epitome of un-cool, very Nana and super twee.... blah blah blah. But yay! they seem to have had a resurgence in popularity and quite rightly so. The funny thing is with displaying plates is that they seem to get lonely very fast. Put up one or two and your wall is soon crying out for more - it is dangerous - but so cool to see your collection spreading outwards and upwards. Check out these pictures I have saved in my travels. How gorgeous do they look in groups - I am completely in love! I'm sorry but I collected these images quite a while ago (far before even considering I might write a blog) and have no record of their origins - if you recognise a pic please let me know so I can properly credit it. Thanks!